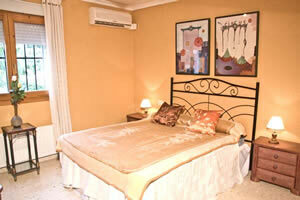 Our selection of 5 & 6 bedroom luxury villas in Javea to rent, all with private pools and wifi - most with aircon. Javea map with villa locations below. Click here to view a larger map which opens in a new window and then zoom out to get an overview of Javea. 5 bedroom villas are marked in blue. Click on the blue dot to get a link to the villa or pick a villa from the list on the left of the map page. It might be useful to open our live availability chart (click here to open) so you can see if the villa you want is free.